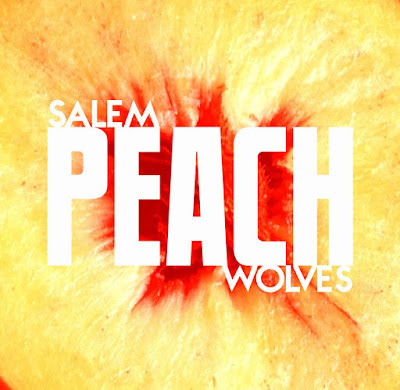 New Music: Salem Wolves "Peach" Bishop and Rook: New Music: Salem Wolves "Peach"
New Music: Salem Wolves "Peach"
Listen to new track "Peach" by Salem Wolves now. Salem Wolves (MegaHex Records) has a new track for your ear holes. “Peach”, recorded at Converse Rubber Tracks studio, produced, engineered and mixed by Dave Minehan mastered by Brad Krieger and featured on Chronicle (cuz we fancy now), continues the band’s mission to pump out high quality singles. “I've always been a "songs over albums" kinda guy, hooks over a jam,” Gray Salem told Bishop & Rook during a sit down over the summer. You can stream the garage rock track on Soundcloud now and see the band live on February 26th with The Evil Streaks, The Devil's Twins and Damnation at Ralph’s Diner in Worcester (sponsored by Polar Seltzer // event details) and be on the lookout as the band visits WMBR’s Pipeline for a live in-studio session on March 15th.